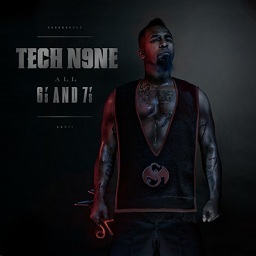 Racking up quite an impressive amount of reviews, Tech N9ne’s All 6’s And 7’s has proven to be one of his most well received albums in years. Headlined by an all-star cast of guest features and giant hit singles like “Mama Nem” and “Worldwide Choppers”, the album has enjoyed a heavy amount of acclaim from the hip hop community. Taking a turn at All 6’s And 7’s, BloodIsOne.com recently released their own review of the album. Breaking down Tech’s mentality throughout the album, the review takes readers on a track by track summary. The end result? Another great look at All 6’s And 7’s that captures the detail and hard work behind the music.